There are three filtering options available in HomeSeer Mobile which make it easy to search for specific devices in your system. 1) When viewing the Devices section, you will see the location values that are set up in HS3. 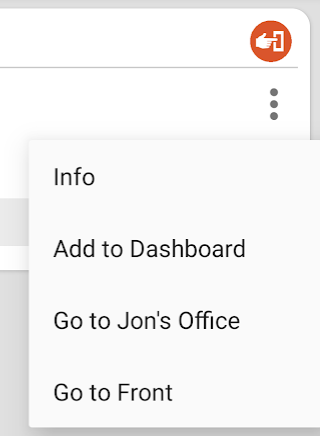 By default, Location 1 and Location 2 will correspond to Room and Floor, but these can be changed in the web interface from Tools > Setup, under the Custom tab. In the screenshot below, Floor has been changed to Area. By tapping on either of these location categories, a list will be presented. Filters can be placed on both location categories for a fine-tuned device list. To clear a location filter, simply tap on that location and select All. To remove all filters, tap CLEAR in Android, or the X icon in iOS. 2) There is also a search function in HomeSeer Mobile. In Android, tapping the search icon seen below will open the search field. This field is open by default in iOS. Note: On iOS devices using iOS version 9 or 10, the search bar is not available. Only the filters can be used to filter the display. 3) In Android, devices have a 3 dot menu in their top right corners. Tap this menu and select Go to Location, This will automatically apply filters similar to option one. Note: This option is only available in Android.